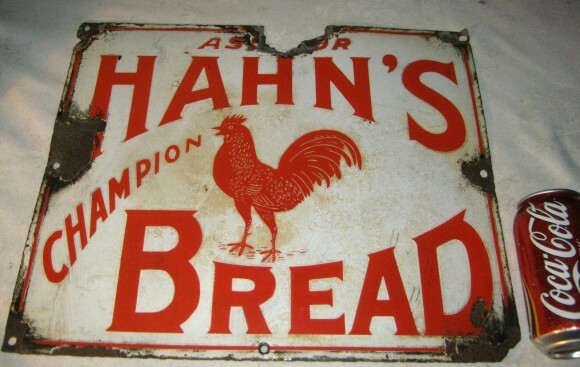 The Hahn’s Bread sign measures 13″ by 16″. The sign has an illustration of a rooster in the center of the sign. The text surrounding the rooster reads “Ask for Hahn’s Champion Bread. The background of the sign is in white and the text is in red.